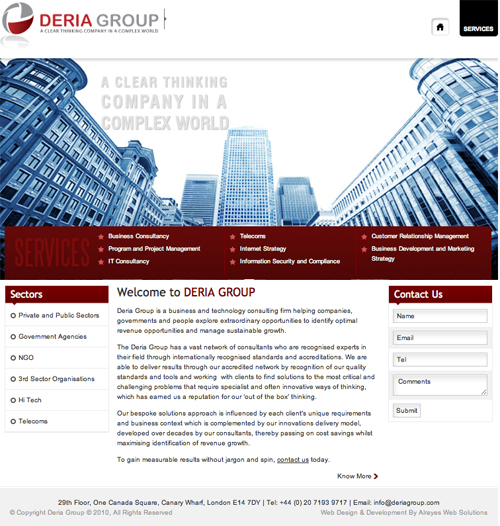 A simple clean business website. I had the pleasure of engaging Hidden Web Genius. to design and develop my website. From the on-set, they were extremely professional, knoweldgeable and helpful. I had a very tight deadline to get my web site setup and the team went out of their way, pulling all the stops, working outside their normal hours in order to meet my deadline which was highly appreciated. As a result of this, I recommended them to a number of my colleagues and clients who will be using them for their web development requirements. Hidden Web Geniu also designed my logo and business cards offering me a complete solution.